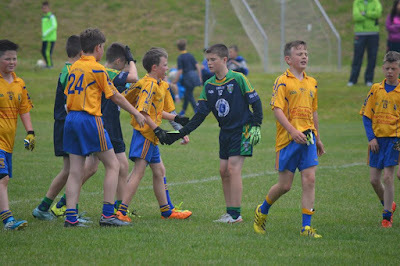 For the first time since 2008 a team of U14 footballers represented Boston at the Feile na nOg gaelic football tournament in Ireland. It was an experience of a lifetime for 24 young gaelic football players who were born and raised in New England, and one that will not be forgotten for a long time. After arriving in Ireland, there were 2 days of preparation in Kerry, and 2 days of competition for the Boston kids. At the end of it all the visitors finished second in their group and made the cup quarter final where a Hertfordshire team proved too high a hurdle. Just as important as the football itself, and what embodies the spirit of the GAA, was the experience of the visiting players being hosted by local families. Our hosts, Ballymacelligott, extended an incredible welcome and made us feel like honorary Ballymac club members for the time that we were there. Friendships were forged along the way and lifelong memories were made. Preparation began back in the fall when a squad of players from the three metro Boston clubs, Maine, and Springfield, was assembled and practiced regularly through the spring and right up to the weekend before the tournament. There were some valuable challenge games included versus Fairfield in Connecticut as well as New York and Philadelphia, games that were hosted by New Haven, Ct. There was a tremendous amount of work behind the scenes making sure that flights and accommodations were booked, kids measured and kits were ordered, fundraising and sponsorship organized, and constant communications with the player’s families and with the organizers in Ireland. The families made their way to Kerry early in the week to be ready for a challenge match with Fossa, located just outside Killarney, the Wednesday before the tournament began. This would be the first time that most, if not all, of the Boston kids played a Gaelic football match on Irish soil against Irish kids. There was a great welcome from the folks at Fossa and in a lovely touch the local players clapped the American visitors on to the field. The game itself was played on a full size field, was neck and neck until the final 10 minutes when the locals pulled away, however it broke the ice for the Boston kids in getting a game under the belt. The next morning it was off to Tralee IT where a last practice in conjunction with the Philadelphia team would be held. Former Kerry manager Pat O’Shea provided coaching and valuable tips for the managers and players in advance of the big day. 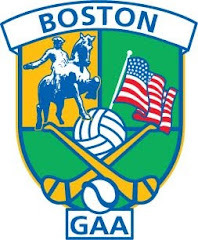 The Boston visitors were hosted by Ballymacelligott GAA Club, just a few miles outside of Tralee. The massive welcome extended by our hosts was beyond all expectations. The ground was decked out with flags and bunting and clearly a huge effort was made in preparation for the games. We were greeted not only by the folks at Ballymac, but also by a huge spread of homemade sandwiches, cakes, and buns that ran the length of two dressing rooms. That familiar taste of the fresh Irish bread filled with chicken, ham, cheese, egg salad, or some combination thereof went down a treat as did the tea, coffee, cakes, buns, and biscuits that was enough to feed an army division. The Boston kids were introduced to their host families, by whom they would be looked after for 2 nights, and returned in time for the first game that evening. After a one goal loss against a solid Warwickshire team in a tentative first game, and a win against Athea from Limerick on Friday evening, the next morning’s game versus hosts Ballymac would decide who would make the second spot in the group, and a cup quarter final the next afternoon. 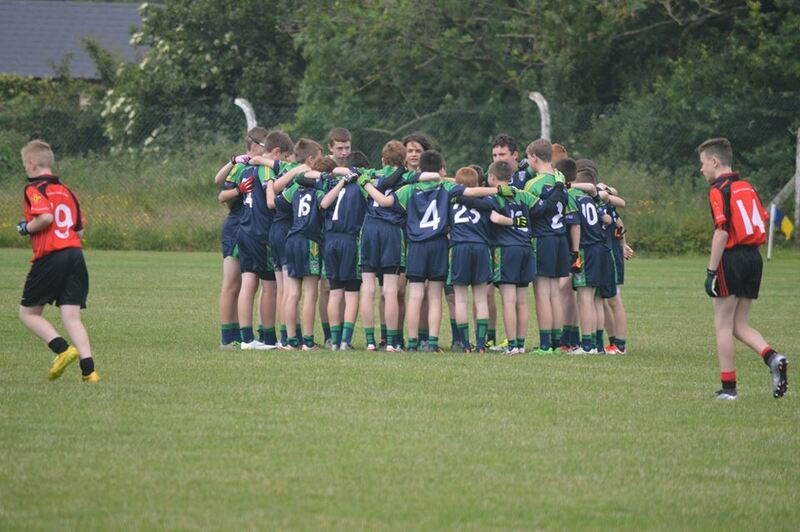 Ballymac had beaten Athea and lost to Warwickshire, and the Kerry youngsters played a great brand of football. Constantly moving for the ball and playing with a lovely style and purpose, it would not be easy for the visitors from the states. The next day, the Boston lads played their best game of the tournament and won the game with a bit to spare. With second place in the group secured it was a coach trip to Kanturk, an hour across the border in Cork, to meet Hertfordshire – another English team - in the big quarter final game. The lads from just north of London proved to be a little too strong for the Boston side, and after an intense contest, the English side came away with a seven point win. The Americans were disappointed, but with Ballymac also coming out on the losing end in their shield quarter final there would be plenty of time to commiserate on the bus back to the club. The kids were watered and fed and spent the last night with their host families before heading their separate ways, whether it be back to Boston or onwards to visit family in other parts of Ireland. Many thanks are in order to everyone who supported the fundraising efforts, sponsors Greenhills Bakery and Feeney Brothers, the coaches and parents who made it happen. A special thank you to Laura Corbin who was the person doing the aforementioned heavy lifting behind the scenes, and to the Fossa GAA Club. 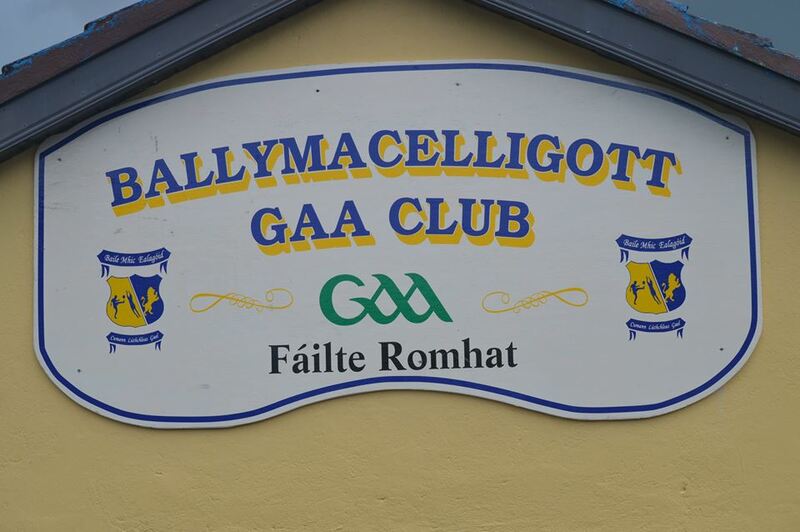 A special thank you to our hosts, Ballymacelligott GAA club, whose welcome blew us away and the organization that went into hosting us and the games was a credit to their club. Hopefully this will be the first of many trips from Boston to the Feile, it really is a special experience for kids and parents alike. 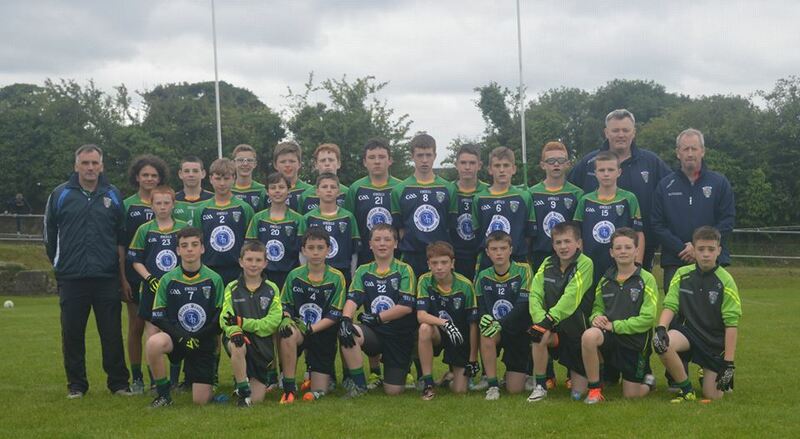 Boston Northeast 2016 Feile Team: ISYL - Lawrence Byrne, Devin Corbin, Aidan Flanagan, Gerard Gannon, Michael Kerr, Conan McCusker, Eoin Morissey, Patrick Moylan, Dylan Murtagh, James Newell, Colm O’Malley, Aidan O’Malley, Eoin Walsh. Wolfe Tones, Springfield - Cathal Carney, Neil O’Sullivan. Trinity Milton – Eoin Faherty, Colm Faherty, Darragh Jordan, Nessan O’Donnell, Aidan Skillen. St. Brendan’s – Kian Hanbury, Sean Hobbs, James O’Neill. Maine – Frank Tierney.